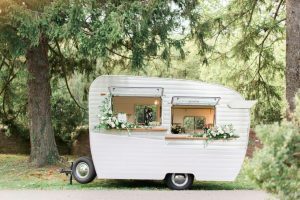 Whether you are looking at refurbishing an old Airstream, in the process of building a new travel trailer or just need to replace an old tired or broken window, you’ll want to choose new trailer windows that are built to withstand your trailer’s intended use while at the same time, giving your trailer an upgraded look. Motion Windows specializes in building custom tempered trailer windows with superior quality anodized aluminum frames. Since 1975, Motion Windows has consistently provided quality custom window products to satisfied customers across the country. Second to none, our innovative engineers consistently provide our customers with resilient and beautiful trailer windows. Custom Frames – Anodized aluminum frames come in clear (silver) or black, or can be powder coated with black, white, light gray or almond to compliment your trailer. Custom Tint – Tint options include clear, solex (light green), light grey, bronze, dark grey, or solar cool bronze (mirror reflective coating). Motion Windows provides customers with the ultimate customer service experience by providing a superior product delivered in almost half the time it takes our competitors to deliver. If at any point you have questions about what to order or how to order, Motion Windows is happy to discuss details with you over the phone or by email. Fill out our order summary worksheet and submit it to us today to receive your estimate.